October 14th NOF fundraiser. 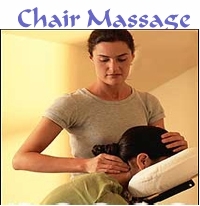 Each chair massage is 15 minutes long and for a $5 tax deductible donation to NOF. Please pre-register below to guarantee your session time. Reduce your stress... it's for a good cause. After registering for your chair massage, we'll send you a confirmation with your exact session time prior to our NOF fundraiser. We look forward to seeing you on October 14th.